Best of luck, Melizza. I hope it works out for you. As a side note, my Italian citizen son married a 100 percent non-Italian and absolutely lovely woman. My grandsons are, therefore, are only half Italian by blood, but they are citizens; and my daughter-in-law can become a citizen too if she wishes. Italian citizenship laws were initially formulated to allow émigrés and their families the opportunity to easily repatriate. That's no longer true. Tradition, culture, and an undiluted Italian bloodline have no bearing on citizenship decisions. It's totally based on dates. Really? I'm sure the Italian people would find that very "interesting" to say the least since the Italian language is only spoken in Italy. If what you say is valid, why is there no mandatory second language bi-lingual (English, Chinese, etc.) education for Italians at any level in the Italian school system with nothing of the sort planned for the future? One would think that with all the non-Italians acquiring Italian citizenship, Italy might want to accommodate it's new citizens, in the manner in which the US has with Spanish speakers. Why are there no English or any other subtitles on Italian programming, except in rare exceptions? Why is everything still dubbed and/or translated for Italians? The answer is because Italy's goal is to keep it's country for Italians. Italy is not interested in creating a melting pot. If it were, it would recognize birth on the soil. It does not and never will. Parentage, blood and descent is what matters in Italy regarding citizenship. Actually, Italy is doing just that. There are three Italian medical schools now in Pavia and Milano and several business schools that are teaching entirely in English (including Bocconi). Italy is more of a melting pot than you think it is. There are also many schools teaching in English at the primary to secondary school level. I can find you that link too but a simple google search may give you an idea of how things are changing. Italy is in fact moving more towards English in its curriculum for the simple reason English is the language of International Business. There are several schools that are going to English Only teaching for that reason as the Government recognizes in order to compete on a global scale, English is necessary. Additionally, I have many younger cousins in Italy all who take it as a second language for the logical reason it will help them become more successful. I don't think that Italy should have things written in 2 languages such as the US is doing with Spanish as I think if one lives in the US, they should learn/understand English and if you live in Italy you should learn/understand Italian. However, it seems the younger generation of Italy is open to learning English and certainly know the advantages of doing so. None of the education programs mentioned above by either poster are by government mandate. None ever will be. Yes, they can take it as a second language by choice, however it is NOT mandatory and NOT for all. Italians watch a LOT of TV. NO subtitles. They go to the movies -- often. NO subtitles. Nothing printed in the English language, from household instruction manuals to recipes to product labels. Niente. Wishful thinking by some who are just to trying to win an argument even though they have no personal experience with the subject at hand. No need for mandates when the schools (government funded and controlled btw) are voluntarily instituting these programs at an ever increasing rate. If the government was so intent on maintaining Italian-only programs, Bocconi and these three medical schools would not be teaching in English. These new programs signal an acknowledgement by the Italian government that in order to be successful in an international economy, they must adopt an international approach. This, however, is a bit off topic. 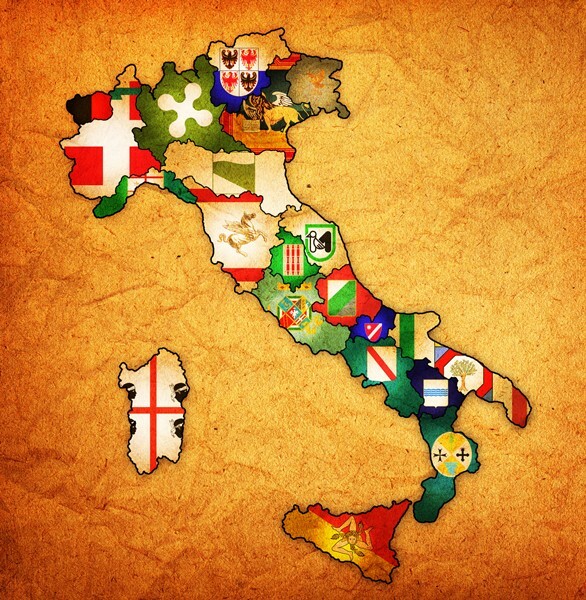 Many people who obtain Italian citizenship have strong ties to Italy, its language, its culture and its traditions. Many other new citizens do not. But it really doesn't matter. All Italian citizens enjoy the same privileges and incur the same obligations no matter what their background; and unless I am very much mistaken, knowledge of the Italian language is not a requirement for citizenship recognition. Bottom line and my final comment on this topic. If Italy wanted to accommodate non-Italians, it would recognize birth on the soil. It does not. It never will. Maybe not, but as I noted in an earlier post, my 100 percent non-Italian daughter-in-law is eligible for citizenship, and my 50 percent Italian grandsons are already citizens. So apparently, Italy is already accommodating non-Italians and "diluted-Italians" (did I just coin a new phrase? ). Actually if Italy were indeed a jus soli country, neither my son, nor his non-Italian wife, nor his half Italian sons, nor the original poster, would have been eligible for citizenship, so perhaps the current citizenship law is even more accommodating than jus soli would be. In practice, Italy's citizenship laws are less about ethnic purity and more about dates. The answer is because Italy's goal is to keep it's country for Italians. Italy is not interested in creating a melting pot. If it were, it would recognize birth on the soil. It does not and never will. This sounds like an American attitude uprooted and placed in Italy. I've never met an Italian raised in Italy who was so insecure about their own "Italianness." In fact, I met an Italian (raised in Italy) while living in London. I barely knew her, but when she found out I wanted to stay in Europe indefinitely, she marched me to the Italian consulate herself to ask if I could be granted citizenship!! And she wasn't the least bit interested whether my father was born before or after 1948! Just an update...My birth has officially been recorded in the comune of my Great Grandfather's birth. Thanks to Luigi Paiano, I'm officially an Italian Citizen and could not have done it without his help! Congratulations doncariddi! I have received an email notifying of a private message from you, but I couldn't see it since my account went deactivated (??). Can you send it again, please? I'm still interested in the details of your trial, and what's next, now you have been registered in the Anagrafe. When will you be able to get your passport? thanks a lot!! I resent a private message, let me know if you can access. I just need to make the appointment with the Consulate here in NY for my passport appointment which I will do in the next month. They had required I register in AIRE first and wanted to allow some time to pass before making the appointment. Hi doncariddi! Thanks a lot for your answer. I have received the notification of the private message, but I am not allowed to see it! To register in AIRE, what papers did required from you? Just the sentence? Any other document? Birth certificate? I am so excited for all this! The first appointment at the Roman Court is scheduled for june. So, may be, the Judge will decide at that time to recognize the citizenship. And after that, I will have to fight at the Consolate for the passports... Here in Argentina they are a little reticent with these cases. Thanks a lot! I appreciate your experience very much. Hi don!! Thanks a lot for your mail. It helps a lot! As is your hope! My name is Adrian. I started the process last december. My father's family (by the maternal line) is from Vinovo (to be exact, a little town just a few km away from Vinovo, called Tetti Grella, just after my GMother surname: Grella). These two, near Torino. So we have piemontesi ancestors. What it is paradoxical, despite the law, is my father is the resemblance of my italian GM from head to toe. thanks a lot for the process description, it helps to be patient and less anxious.